There are many different ways to help the Sri Lanka Campaign: giving money, signing a petition, sending an email, or telling your friends about what is going on. Now we can add cooking to the list, thanks to our latest initiative – the Great Sri Lankan Cook off. The idea is simple: by encouraging people to make Sri Lankan food and sell them to their friends we celebrate both the diversity and similarities of Sri Lankan food, we help people come together from different communities over their shared love of food, and we raise funds for a valuable cause. Many people want to help the Sri Lanka campaign but have friends and family in Sri Lanka and so do not want to be publicly linked to us. For this reason we have made sure you can help entirely anonymously. So let “the Secret Chef” guide you through the process of learning to make delicious Sri Lankan food, and helping us help Sri Lankans along the way. 1 The first step, is to set up with a mini website. 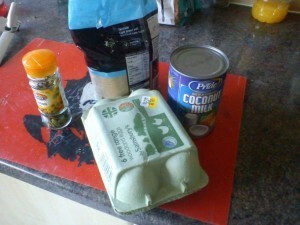 The Secret Chef went to http://www.everydayhero.co.uk/event/The-Great-Sri-Lankan-Cook-Off and clicked “get cooking”. He then answered a series of questions which set up this. Note: the Secret Chef cooks alone, but if one wanted to cook with friends you have the option to set up a “team page” and pool your resources. re doing to raise money for Sri Lanka. 3 Get cooking! 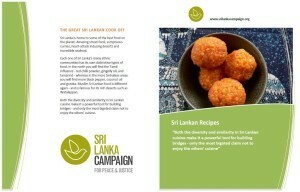 Many of our supporters already have some treasured Sri Lankan recipes but others, like the Secret Chef, are new to it. Not to worry, we sent the secret chef, this recipe book when he signed up – containing lots of ideas for delicious Sri Lankan snack food. Each one of Sri Lanka’s many ethnic communities has its own distinctive types of food. In the north you will find the Tamil influence – red chili powder, gingelly (sesame) oil, and tamarind – whereas in the predominantly Sinhalese areas you will find more black pepper, coconut oil and goraka. Muslim Sri Lankan food is different again – and is famous for its rich deserts such as watalappan. It was watalappan that the Secret Chef decided to make. The ingredients were simple enough to buy – none of them were particularly rare. 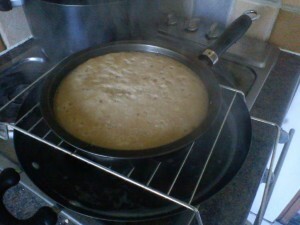 Particularly as sugar can be substituted for the more traditional jagerry. Beating them together was a great deal of fun as the colours slowly changed from white to a deep brown. If you don’t have a steamer you can improvise one using two pots and a wire frame. 4 Get selling! In the interests of full disclosure it has to be said that this particular watalappan did not survive the de-moulding process and, whilst delicious, the end result was not something that could really have been sold to the public. The Secret Chef’s friends were however curious enough to throw a few pounds in for a taste. Had it looked as good as it had tasted the Secret Chef could have taken them into work, to the neighbours, or given them to family. Had the Chef been at university he could have taken them there, or to his children’s school. the Secret Chef got the best results by providing the food for free, and providing a bucket into which people can put what they think it is worth. Almost as importantly by doing so you generate a lot of discussion about Sri Lanka and the issues it faces. The Secret Chef asked us for some promotional material about Sri Lanka and we sent him a handful of our leaflets. And so by selling Sri Lankan food, the Secret Chef was also able to raise awareness of Sri Lanka’s problems, it’s diversity, and the many positive things about Sri Lanka. 5 Helping Sri Lanka. The final step was to send the money to the Sri Lanka Campaign. The watalappan made £10 which he sent to us; in addition a generous soul heard about the initiative through our website and donated another £20. That made £30 in total – which may not sound like much, but is enough to pay for a mobile phone and credit for an independent Sri Lankan journalist for a year.